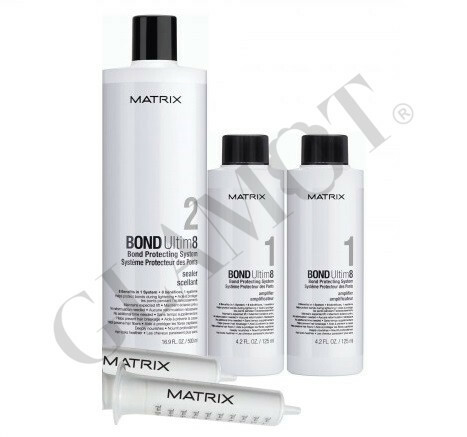 Bond Ultim8 by Matrix is a complete bond protecting system that's used both during and following a professional colouring or ightening service, to protect and preserve bonds. It can be used as a stand-alone treatment by adding distilled water to Step 1. 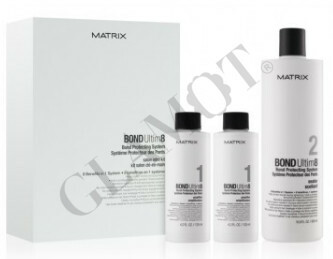 Process following chosen product's normal development time. 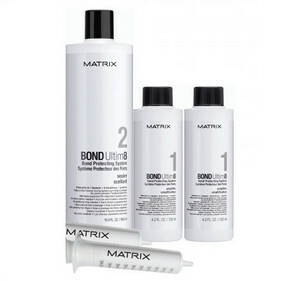 For best results follow by using Step 3 Weekly Sealing Treatment, to provide additional nourishment and protection.